One of the most important cornerstones of our business: whether it hails from Britain or South America, we ethically source all of our high quality yarn from specialist mills who operate under the fair trade code of conduct. Alpacas are an environmentally positive mammal: Unlike sheep and goats, alpaca fleece doesn’t contain lanolin, so harsh chemicals are not required to remove this. Alpacas also have padded feet and when grazing, merely ‘’cut’’ the grass which causes much less damage to fragile eco-systems than hoofed livestock. By collaborating with young, up and coming British designers to fly the British flag, we’re able to develop our unique and dynamic style. Look out for our garments which have been created by the most promising young knitwear fashion designers Britain has to offer. We distance ourselves from the ‘fast fashion’ mentality that seems all too prominent on today’s high street and instead, pride ourselves on creating stylish clothing that is ‘built to last’ and will be cherished for many years to come. You should not be surprised when one of our pieces is passed down through the generations. We use only the highest quality grade of alpaca fibre in our range - Royal Alpaca is considered even smoother, softer, stronger and warmer than cashmere. Less than 1% of all alpaca fibre production in the world can be classified as Royal Alpaca which allows us to bring you a collection both rare and exclusive. 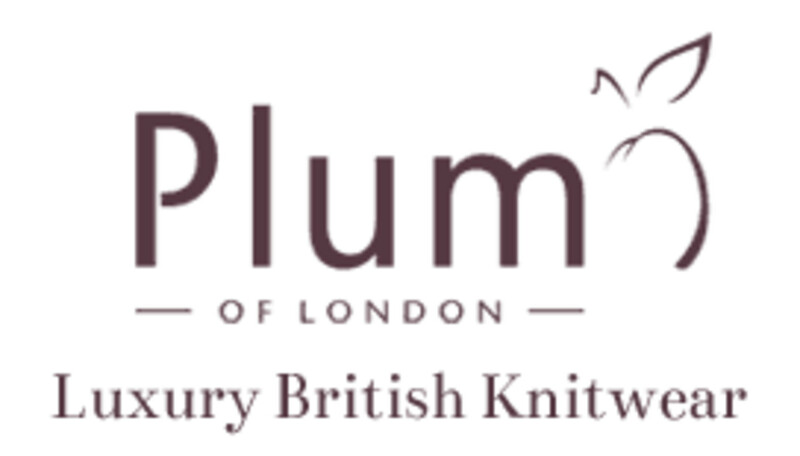 We believe that everyone should have the opportunity to purchase ethically sourced, eco-friendly and British made luxury products - here at Plum of London, we deliver just that. After becoming aware of the seemingly infinite benefits and advantages alpaca yarn possesses over all its rivals, it was soon realised that there was a lack of contemporary designed and sustainable fashion garments using only the highest quality alpaca yarn. The vision therefore to create luxury, British made and pure alpaca garments was conceived in England in 2012. Britain is synonymous with luxury knitwear which can be attributed not only to the invention of the first framework knitting machine, but also to the dynamism the industry has displayed over the centuries. Alpacas originate from several countries in South America, with Peru being the most notable and it is for this reason that Plum of London have sourced Peruvian mills to provide us with the best quality yarn that can be found anywhere in the world. The concept therefore to combine what is arguably the world’s finest natural yarn with one of the most prominent knitwear industries is a perfect marriage and one which gives our customers the assurance that our alpaca garments are some of the world’s very best. We are delighted to bring you our first collection and we hope that you and your family enjoy wearing them as much as we had in creating them. View our ladies, men's, children's, babies and homeware ranges. 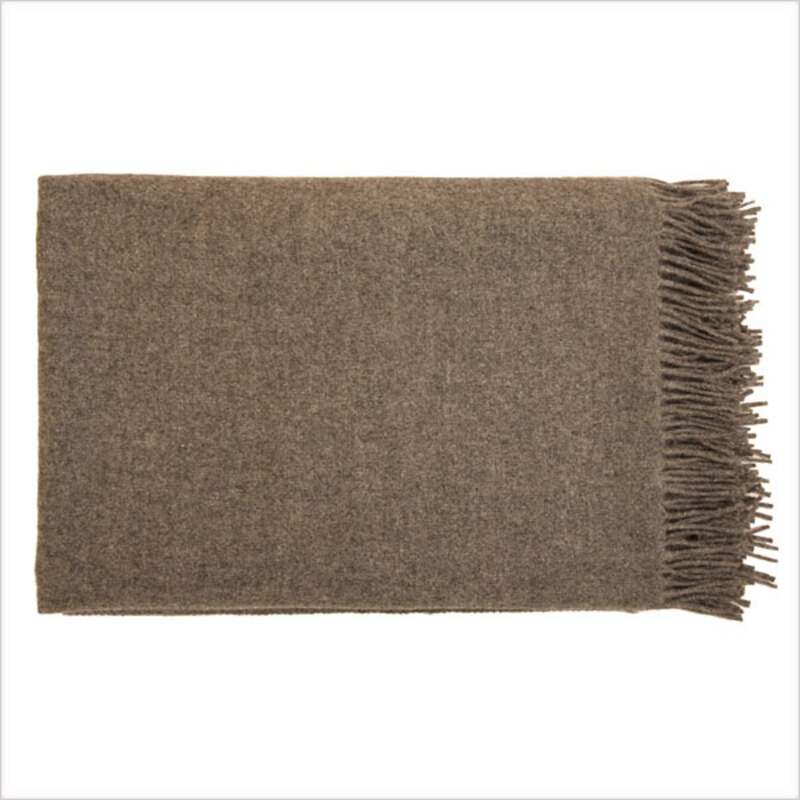 Crafted in our Scottish mill using the finest and softest alpaca yarn sourced from an award winning herd in Cumbria, the newest addition to our homeware range will inevitably create some envy. Whether it’s used to drape over your sofa in the sitting room or used to snuggle up in when in bed, this is a piece that offers true versatility and will be enjoyed by its lucky owner for many years to come. The greatest pieces can boast attention to detail that sets them apart from all other likely pretenders and in this case, a process demanding much time and expertise has been used to weave each throw giving it a texture known as the ‘honeycomb effect.’ Offered in natural grey, this is a piece that can adorn any room without threatening to clash with its colour scheme.